I’m all verklempt. 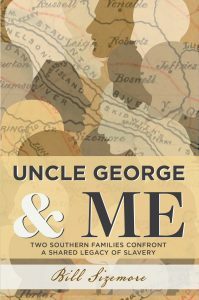 My book Uncle George and Me: Two Southern Families Confront a Shared Legacy of Slavery has attracted more national attention with a very nice review in the current issue of The Humanist magazine. Meanwhile, my ongoing fall book tour takes me to the G.C. Shaw Museum in Oxford, N.C., this Sunday, Nov. 18, 3-5 p.m.